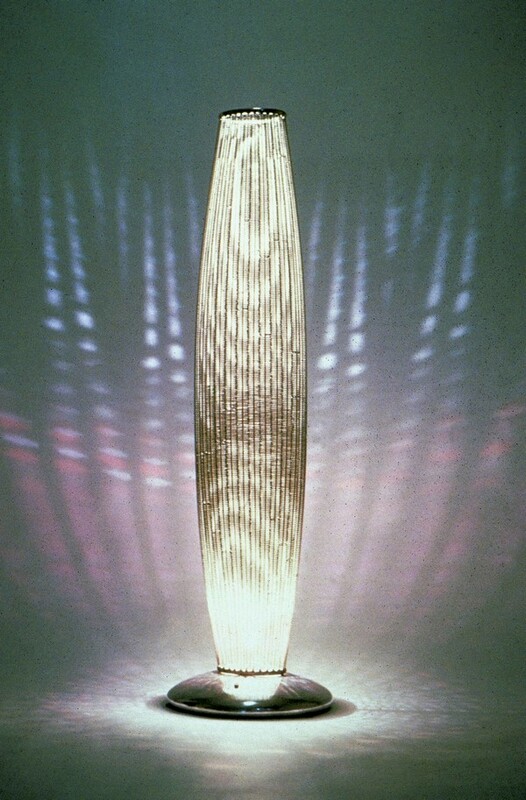 Five of these lights were hand made between 1993 and 1994 .The frame was hand welded in steel and nickel plated. Stainless steel cable was then handwoven in the structure that was built to approximately 150 cm height. This was then inserted into an cast aluminium base. All editions were sold to private collectors after exhibitions at galleries such as Gallery Mougin and Neotu in Paris. The production was ceased due to the labour involved in each piece.